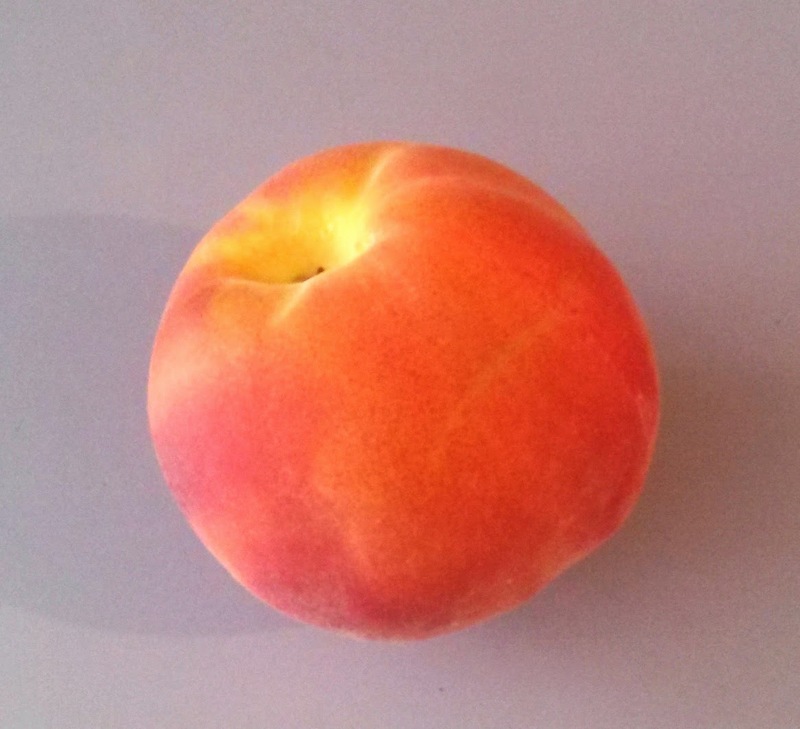 Just a little while ago, as I stood at my kitchen counter peeling peaches for a pie, it dawned on me that as I held a fat, ripe peach in one hand and a sharp, ceramic paring knife in the other, I felt a quiet, serene happiness and a deep sense of connection to the Divine. How can a simple, mundane, kitchen chore bring such a lovely sense of satisfaction and gratitude? Well, without moving into my usual mode of over-thinking things, I knew where it came from. I felt a deep awareness of the peach itself, of where it came from, and all the goodness of light, water, and healthy soil needed for the trees to thrive, and the flowering and subsequent fruiting that allowed the peach to grow. But more than that, I felt a deep awareness of where I came from, of the women in my life who wielded a paring knife in kitchens on hot summer days or frosty winter nights with strong hands, a hot stove and a sharp knife. 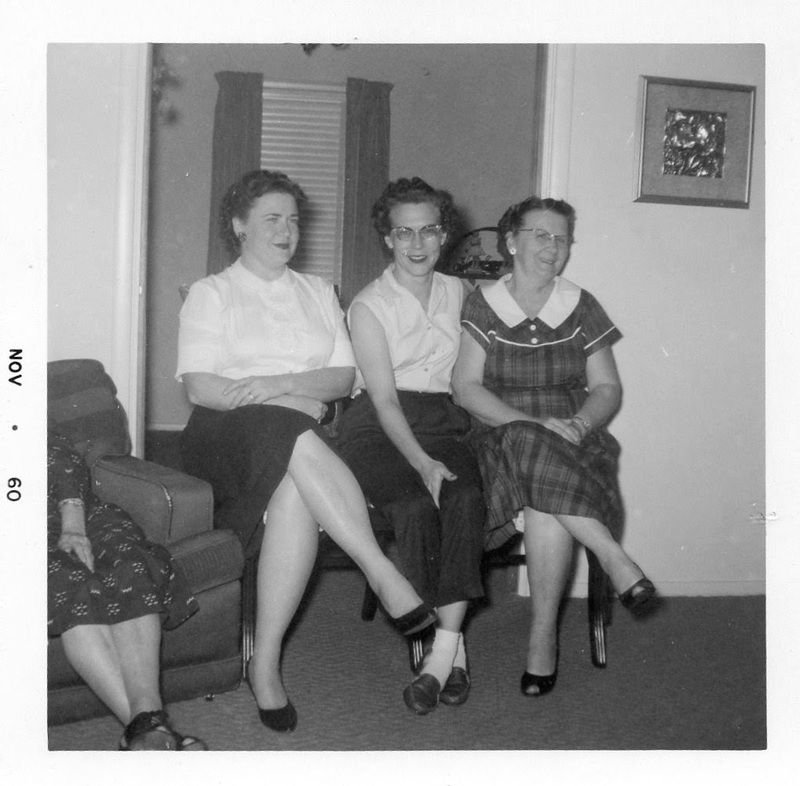 These women turned out peach pies, jams, jellies, and pickles, alongside everyday meat, potatoes and salads, with me at their feet watching their hands, smelling the sugared fruits simmering, the chicken frying, the bacon sizzling. Throughout life, they did these things, even as children grew up, and loved ones died, and sorrows multiplied, and health problems grew more prominent in their lives. And still, they persevered, in life as well as in the kitchen. I remember one Christmas morning, my husband, children and I arrived at my parents’ house to find my mother taking a turkey out of the oven with tears running down her cheek. Her oldest sister had passed the night before. My mother did not staunch her sorrow; in fact, she seemed to find solace in the basting of the turkey, the crumbling the cornbread for dressing, the pouring of the iced tea. And in my turn, as I grew older, married and began to have children of my own I began to do the same thing. I learned to chop, to slice, to bake, to fry. Between raising children and working at a job outside my home, I sliced peaches and rolled out pie crusts. 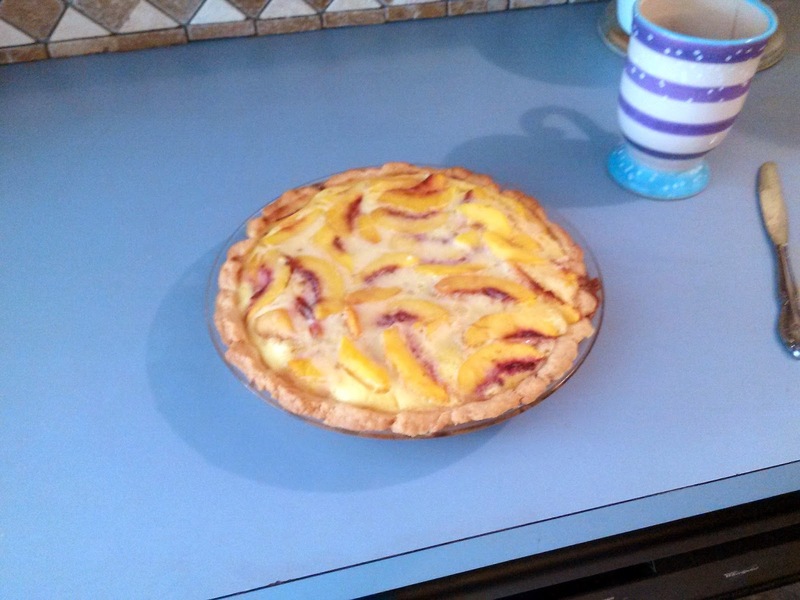 Peeling peaches for me was a learned skill; my first few pies had some pretty clumsy pieces in it. Between sorrows and fears, joys and celebration, though, I did the same thing my mother, and my grandmother and my aunts did. I kept going. And today I can peel a pretty good peach. My children are grown now, and have homes of their own. I see my daughter-in-law starting down the path all the women in my life have walked. It is a joy to watch! And so when I pick up a peach to peel, to slice, to make my favorite peach pie recipe for a celebration today with friends, I feel gratitude, and an unwavering connection to my heritage. It’s a deep spiritual connection. What a gift it is! Gotta admit; calendula is one of my very favorite herbs. I love the cheerful yellowish orange petals (so pretty!) and I love what it does for our skin. It has a powerful reputation as a healing herb. Stick with me here while I tell you a little bit about the herb itself, and at the end, I’ll show you how you can use calendula in your own home. First a little bit of background – I find it oh so helpful to know the history of the ingredients I use in making body and bath products. Calendula is a member of the marigold family. Calendula is the Latin name for the European marigold, and its name comes from the Latin word calendae, meaning ‘first day of the month’. Marigolds (from “Mary’s Gold”) were traditionally considered ‘golden gifts’ offered to the Virgin by the poor, who couldn’t afford to offer cold, hard metal gold. They were also lovingly planted throughout the ages in dedicated Mary’s Gardens. Marigolds are seen often as symbolic of passion and creativity, and have been used as love charms and woven into wedding garlands. 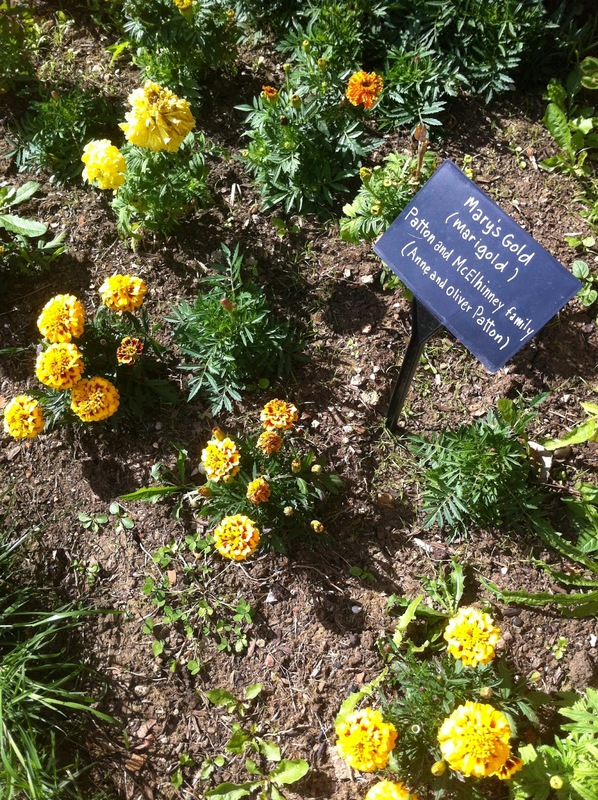 In some traditions, marigold petals are added into sleep pillows to encourage psychic dreams. In traditional herbal medicine, calendula has been used for centuries to heal wounds and skin irritations. Its anti-inflammatory, astringent, antifungal and antiviral properties make it an excellent herb for healing minor wounds and inflammations of the skin. 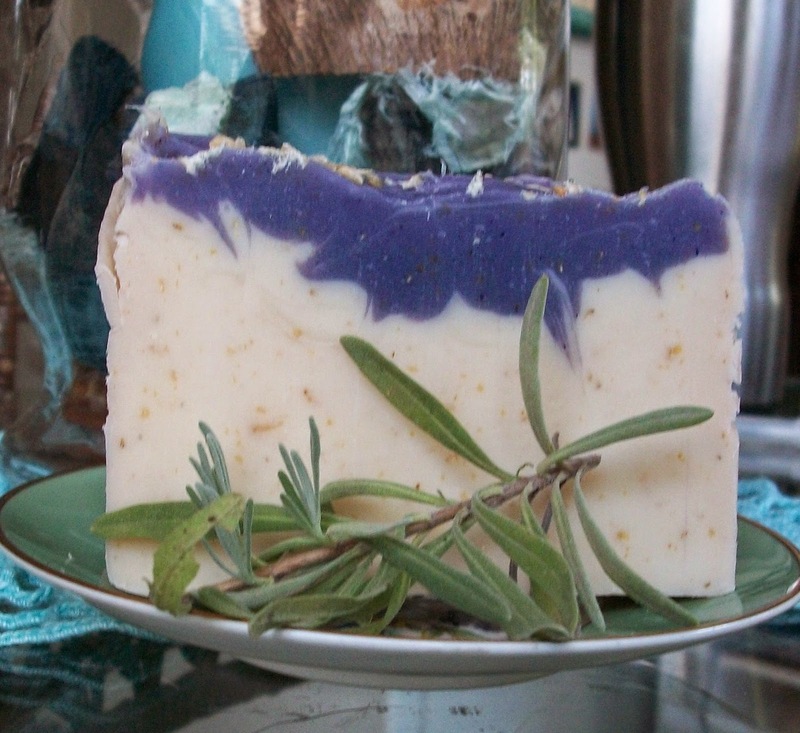 You can read more about all the super cool healing things our colorful herb does by visiting Mountain Rose's Blog. I add calendula petals to my Dog Poo shampoo bars for gentle exfoliating action to keep those canine babies clean and healthy. 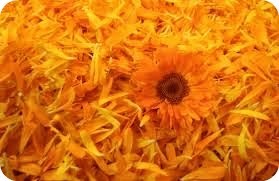 And I love to infuse avocado or apricot kernel oil with calendula petals and use it in lotions and creams. Or sometimes I just use the infused oil itself, straight from the bottle, wherever there’s a patch of skin that needs help. 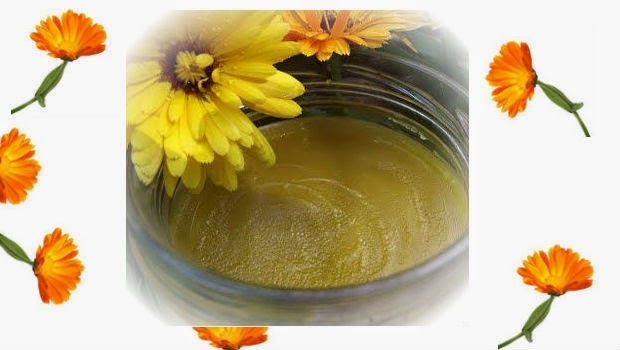 You can make your own calendula salve. I’ll admit; I’m taking the easy way out here – I’m giving you a helpful, handy-dandy link to click on instead of walking you through a spiffy photo shoot I set up myself. But I like this recipe, and the directions are super simple and easy to follow, so why not just share? That's all there is to it; honest. If ya' get stuck, message me through my Etsy site (I'm a bit leery about putting my email addy out here) and I'll do my best to help you out. I think you should go for it. One of the many myths surrounding this aromatic herb tells the story of the questionably charming Hades seducing a lovely young nymph named Menthe. 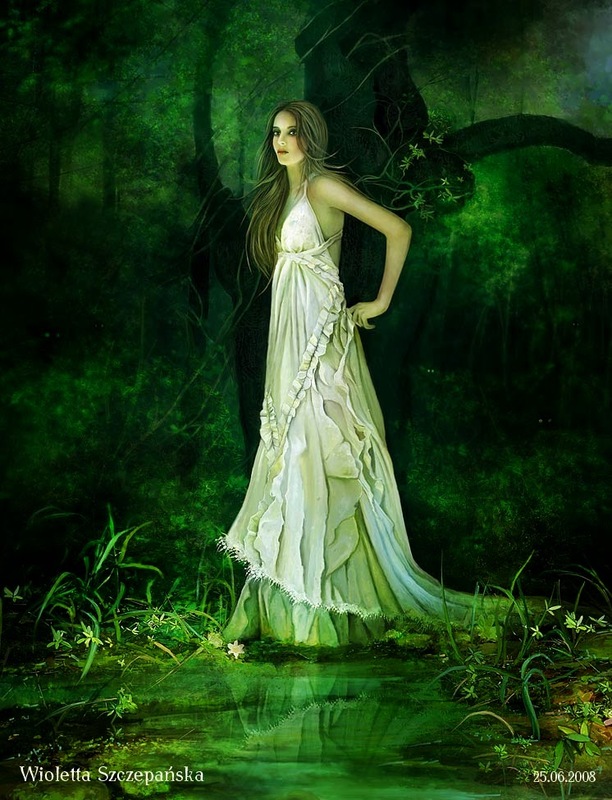 His wife, Persephone (who only actually lived with Hades throughout the fall and winter months, spending the spring and summer months with her Earth Goddess mama, Demeter), understandably was not amused, and turned poor Menthe into a plant that people would constantly walk on. 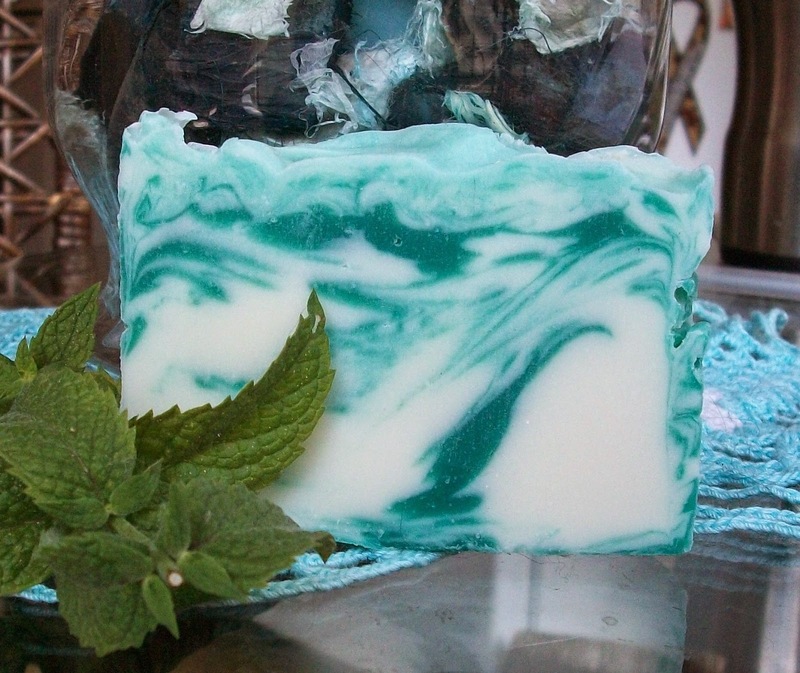 Well, this ticked Hades off, and he embued Menthe with a lovely fragrance so that whenever peppermint was crushed, the wonderful aroma would remind people of just how beautiful and wonderful Menthe was, before she became a herb. One can only wonder what Persephone's next move was. In any case, the lovely peppermint/Menthe has a long and varied history. 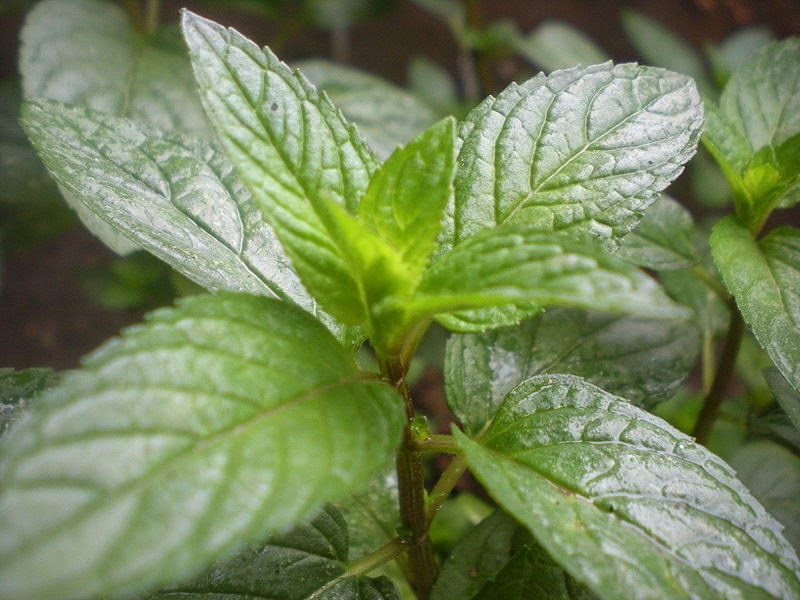 The ancient Egyptians used it at least as far back as 1,000 BC and the Romans grew peppermint in their gardens for decorative, digestive, and aromatic purposes. Peppermint is a hybrid mint, a cross between watermint and spearmint, and is now grown widely through the world. Most people think of peppermint when they think of mint - it's a fragrance that evokes memories of holidays and celebration and it is very popular in Middle Eastern culinary recipes. According to Mountain Rose Herbs, it is one of the most popular herbs used in teas, candies and chewing gums. Its refreshing, energizing and stimulating properties are used for a variety of medicinal applications, and in aromatherapy, peppermint is used to increase alertness and stamina. It has been considered by some to have aphrodisiac qualities. That last bit said, because of its other properties, it's not usually the aroma of choice to lull one into sleep, after the lovin'. It's more of a morning wake-me-up fragrance. Note: This information is for educational purposes only, and is not intended to prescribe, treat, prevent, or diagnose any disease or condition. Let's talk fragrance for a little bit. Do you know the difference between fragrance oils and essential oils? Fragrance oils are a mix of elements - some natural, some synthetic - to produce a scent. I'll post more on this at a later date. 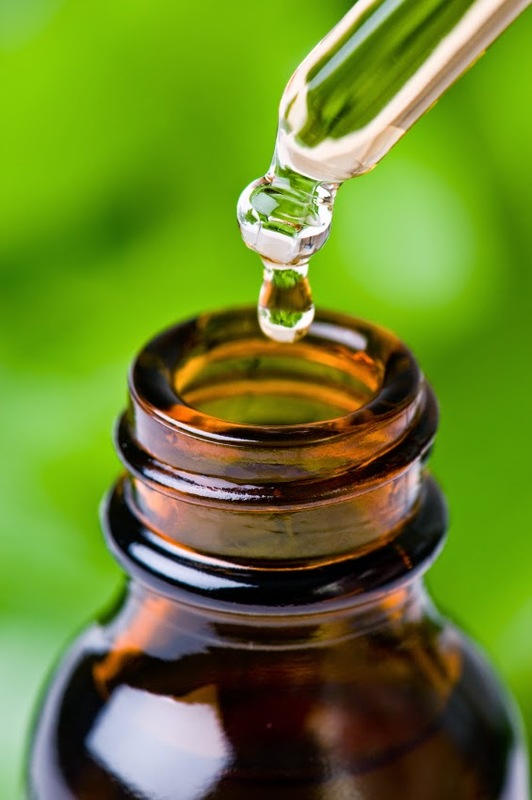 Essential oils are concentrated liquids derived from aroma compounds from plants. Basically, it's an oil by-product of the plant itself. Did you know it takes an average of one pound of plant life to produce one DROP of essential oil? Once you realize this you begin to understand just how potent these oils are, and realize that careless use of them can be dangerous. The link below will take you to a a site that I feel gives really good info on why many popular essential oil blends may not be as healthy for you as you might think. One of my really big concerns is the trend towards taking these oils internally. Read for yourself and make your own decisions! I feel it's very important to understand the products or ingredients you use on yourself, of in products for others. In upcoming days, I'm going to post a little bit about various essential oils and their uses.